“Rocket” Car Goes 40 M.P.H. EQUIPPED with a one-cylinder motor that provides propulsion based on the theory of the fluid rocket, a novel midget car has been developed by Millet, famous Paris engineer. On its trial runs, the three-wheeler car is said to have attained speeds exceeding 40 m.p.h. 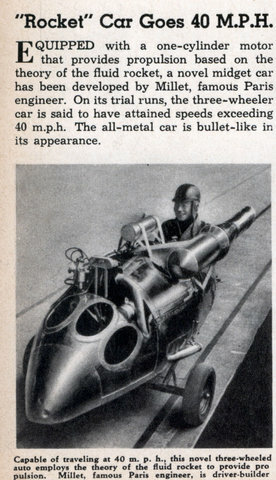 The all-metal car is bullet-like in its appearance. 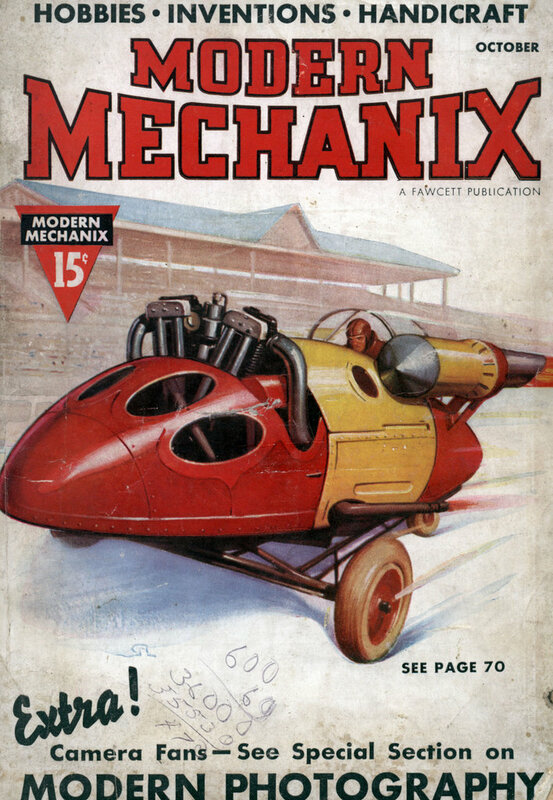 Here’s an item I urge you to keep your eye peeled for: The original story about the rocket car–the source of all the legends that followed. I came upon this in a 1946 or 1948 magazine of that type that I’d bought at a yard sale. I tore it out and mailed it to the head of the organization that hands out the Darwin Awards: someone in London with an Indian name. (I’ve lost track of it now.) I unfortunately didn’t make a Xerox copy. 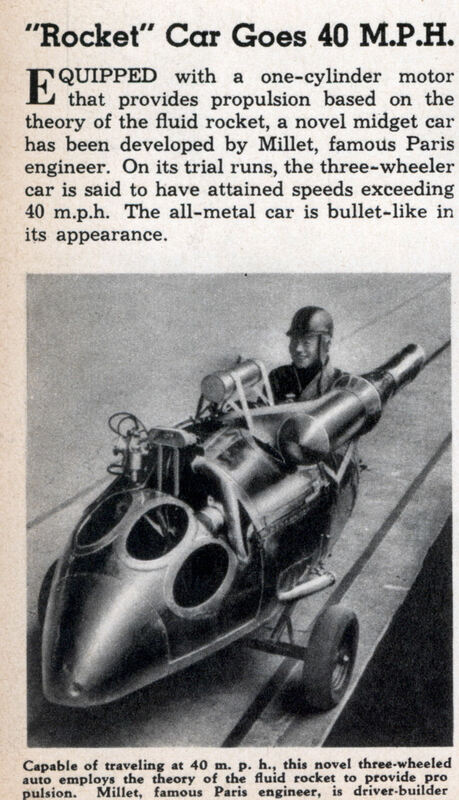 Anyway, the story was a half-page item, half of it text and half a photo, of an old-timey boxy car with two JATO rockets strapped to it that someone–it may have been one of the armed forces–was using for testing, or for sport. I can’t remember. I believe the location was in the southwest.